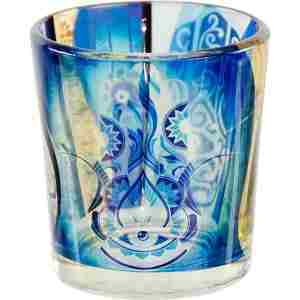 Bring guidance and creativity to any room or area with this striking Fatima Hand printed votive holder. Will hold most votive candles. Crafted from glass.